Robots have long been the pathfinders for the exploration of space. 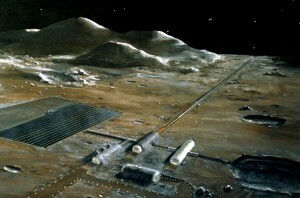 Surveyor landers went to the surface of the Moon to test out the surface before men walked on it. Mars has been host to a number of robotic explorers paving the way for future human landings there. Even when people finally get to orbit the Red Planet, they will probably want to send out robotic probes to test out the expected landing sites first. This technology might even find its way to planets or moons outside our solar system. To do this, the astronauts will need to control the robots from orbit. 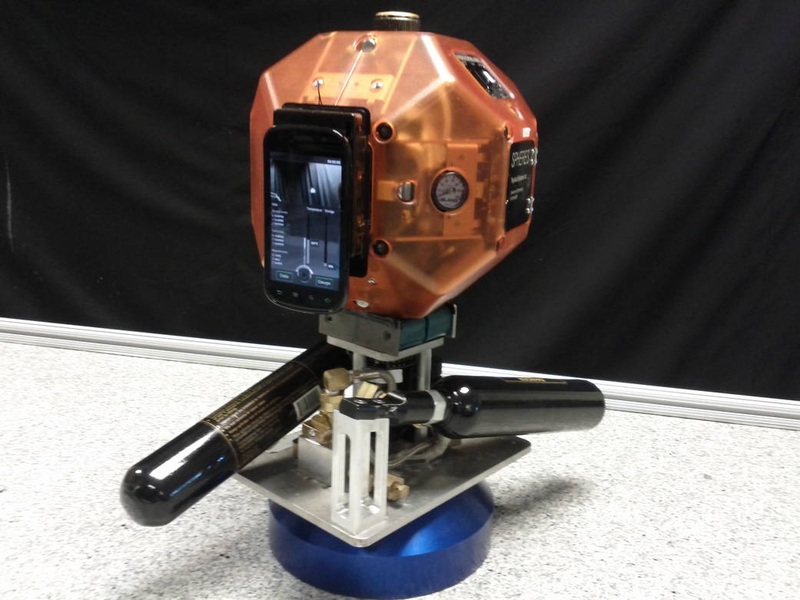 This is the purpose of a new rover being developed by the European Space Agency. Read the article at the link below for more details. So, imagine a team of robots – all kinds of robots – some with wheels, some bipedal, some that fly. Now imagine those robots working as partners with astronauts on some future space mission. This may be on an asteroid or maybe even Mars. Astronauts on the International Space Station (ISS) already work with robots, mostly in the form of robotic arms, to accomplish their tasks, so this in not a far-fetched concept. Robonaut 2, shown in the photo above, will soon fly on the ISS to demonstrate that NASA-developed space robots can work closely with their human team members in space exploration. 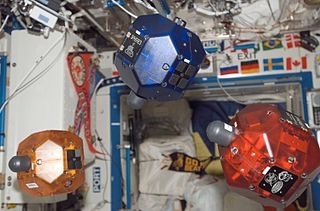 In this story from Computerworld, written by Sharon Gaudin, robots are seen as full partners in space exploration. What do you think of this? 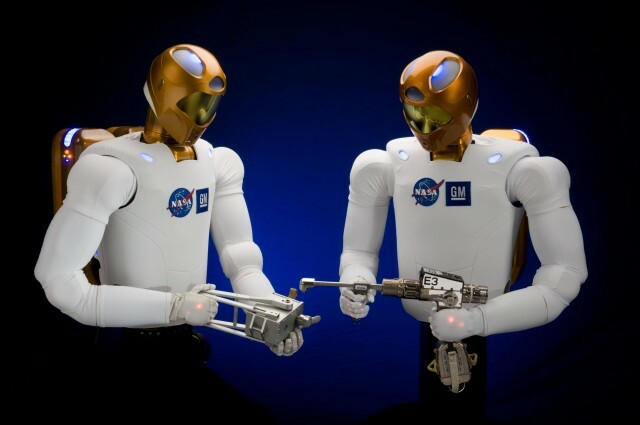 Will humans need robotic companions on space missions? This seems like a good bet since robots already play an essential role in current space activities. Read the story at the link below. That's the image that a lot of the U.S. space agency's engineers have in mind as they work on the new robotic rovers, said Terry Fong, director of NASA's intelligent robotics group. In comparison, the Mars rovers on the Red Planet have been working alone for years. 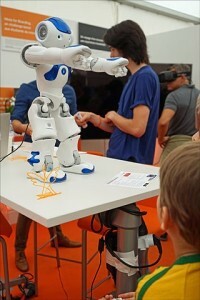 "We're working on a new use of these robots — robots to support human exploration," Fong told Computerworld this week. "NASA is now thinking, 'How do you go about sending humans to the moon or Mars or elsewhere? How can you use the combination of humans and robots to do exploration better?' I think it's a really, really fundamentally different approach." A Russian robot rover has been photographed from lunar orbit after 37 years. 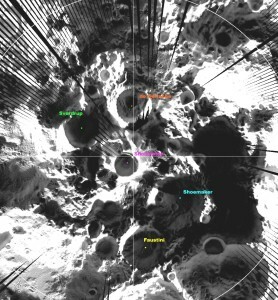 The Lunar Reconnaissance Orbiter (LRO) imaged the area on one of its orbits of the Moon. Then, Phil Stooke, a researcher from The University of Western Ontario, solved a 37-year-old space mystery using lunar images released yesterday by NASA and maps from his own atlas of the moon. Lunokhod 2 stands 4 ft 5 in high and is about 5 ft 7 in long and 4 ft 11 in wide, and it shows up clearly in the overhead photo. For mobility, it used 8 independently powered wheels. As explained on the Wikipedia site, “Lunokhod 2 was equipped with three television cameras, one mounted high on the rover for navigation, which could return high resolution images. These images were used by a five-man team of controllers on Earth who sent driving commands to the rover in real time. Power was supplied by a solar panel on the inside of a round hinged lid which covered the instrument bay, which would charge the batteries when opened. A polonium-210 radioisotope heater unit was used to keep the rover warm during the long lunar nights. After landing, the Lunokhod 2 took TV images of the surrounding area, then rolled down a ramp to the surface at 01:14 UT on January 16 and took pictures of the Luna 21 lander and landing site, driving for 30 meters. After a period of charging up its batteries, it took more pictures of the site and the lander, and then set off to explore the moon. This rugged robot still holds the record for distance driven on another planetary body. It covered about 23 miles on its lunar trek. By comparison, the Mars Exploration Rover, Opportunity, has traveled just over 12 miles. It is easy to forget sometimes that robots have been exploring space for decades, and although today’s machines are more capable in some ways, the explorer robots of the past accomplished some amazing feats considering the technology of the times. You can read the complete story at the site linked to at the bottom of the page. You can also click on the photo below for the article. A Canadian researcher has helped solve a 37-year-old space mystery using lunar images released by NASA and maps from an atlas of the moon. The X-37 is the designation for a robotic shuttle craft built to demonstrate reusable technologies for future spacecraft and perform on-orbit operations in the near term. Starting as a NASA project and later taken over by the Air Force, this winged robot is slated to fly into space on April 19, 2010. It has faced many delays in getting to this point, but it now appears ready to launch to orbit. After insertion into its orbit by an Atlas V rocket, it may stay up for several months. 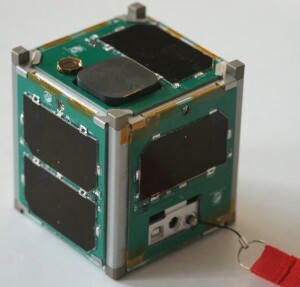 In fact, it is designed to remain in space for up to 9 months to accomplish its objectives. And its objectives are a closely guarded secret by the Air Force. Read more about this experimental robotic space shuttle in the article linked to below.